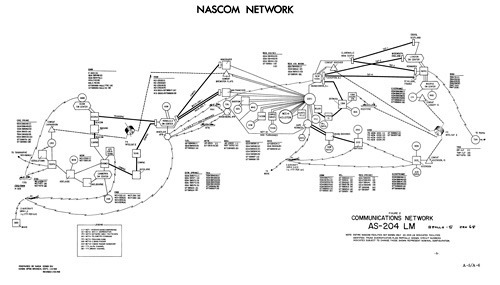 The NASCOM Communications Network was a very extensive, state of the art, communications network spanning the globe and linking all the tracking stations, the tracking ships, the ARIA aircraft, NASA centres to Goddard and then on to Houston. 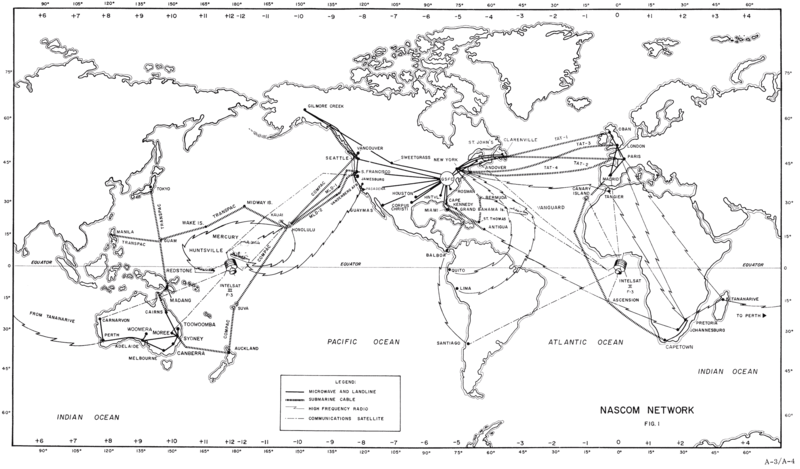 Satellite, undersea cable, leased telephone company broadband circuits and High Frequency radio circuits were all employed to connect the far flung MSFN facilties. In practice, the network performed amazingly well. The Deakin Switch in Canberra was the main Australian communications hub. The NASCOM Network for Apollo 5 (AS-204 LM). 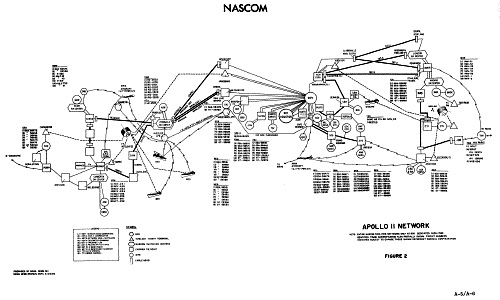 These two maps show the extent of the network for Apollo 11. The NASCOM Network for Apollo 11 (AS-506). Map dated 25 June 1969. Preserved and scanned by Bryan Sullivan. 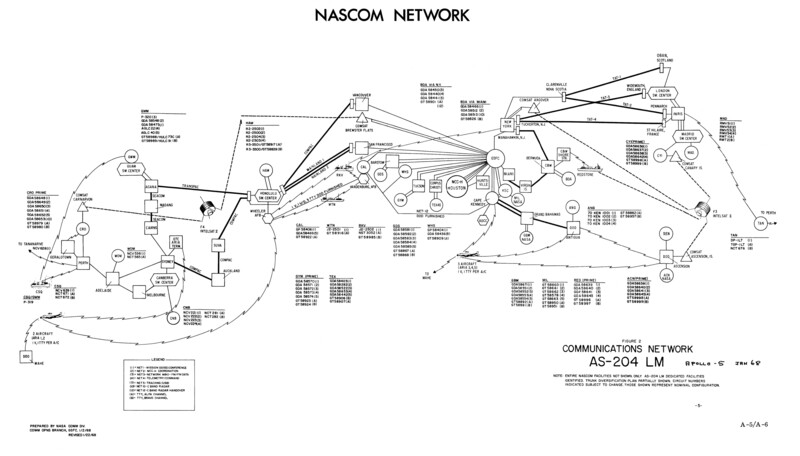 The NASCOM Network for Apollo 11.